Updated for 2018, here’s what produce to buy organic! It’s not always feasible to buy everything organic, and that’s why I am sharing this list to help you prioritize. 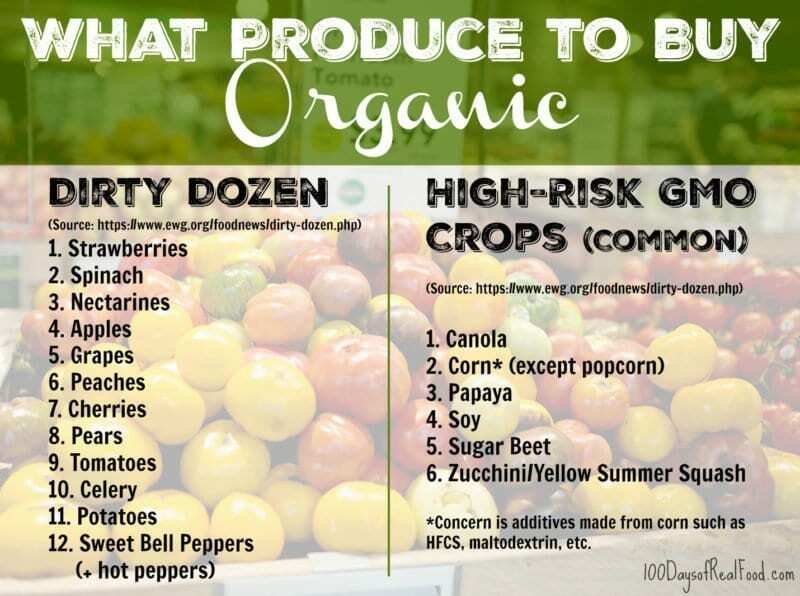 These are the top twelve conventionally-grown crops that have the most chemical pesticide residue when purchased. Choosing organic instead will avoid those unwanted chemicals. Some GMO crops have been altered to produce chemical pesticides IN the plant itself (rather than being sprayed). To avoid this, as well as the high amounts of herbicides used on most GMO crops, it is recommended to buy organic instead. 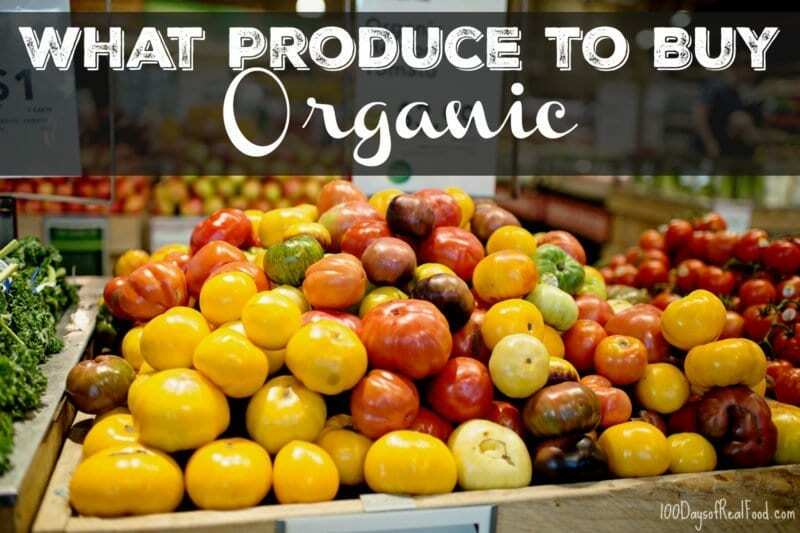 What are your thoughts on when to choose organic? I didn’t know tomatos and celery were on the dirty dozen list! Did some foods get added in 2018? Yes, it changes from year to year based on data collected. What kind of pesticides and herbicides? Due to children’s special needs all our fruits and vegetables have to be organic, especially since our yard is small and we cannot grow a large garden. But thanks for list I can tell friends about it who can be choosy. Why does it say, “Corn (except popcorn)”? Does this mean that popcorn doesn’t need to be organic? Or is it still recommended? Love this list Lisa and such great info to have for the next shop. I do love growing my own food but sometimes fruit and veg needs to be bought! Does ‘potatoes’ mean sweet potatoes too? Thanks! Thank you! I’ve been wondering about that one!